Soo Kim, a former CIA intelligence analyst who specializes in North Korea, said that the Iran visit sent a message to the international community. The North Koreans were taking a “two-pronged” diplomatic approach by continuing denuclearization negotiations with the U.S. while also pursuing diplomacy and “ally-building” with countries such as Iran. Andrei Lankov, a professor of Korean studies at Kookmin University in Seoul, said that there was "active cooperation of nuclear and missile issues" between Iran and North Korea. He added that Pyongyang and Tehran "do exchange knowledge, they do probably exchange technology," describing it as "an open secret" that's been going on for many years. 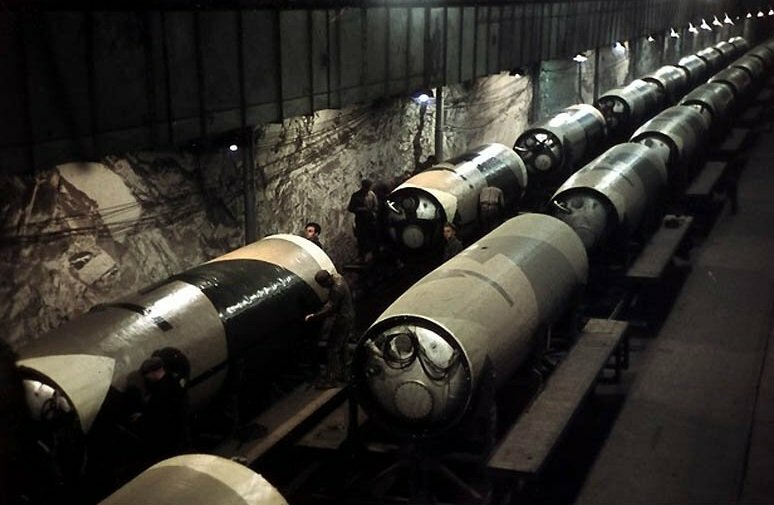 Lankov said North Korea has been selling arms to Iran at least since the mid-1980s, including missiles used by Tehran during the Iran-Iraq War. 5-13-17 On May 2, 2017, the Iranian military conducted a missile test from a Ghadir-class submarine in the Strait of the Hormuz. Even though the missile test failed, the close similarities between Iran’s Ghadir-class submarine and North Korea’s Yono-class miniature submarine alarmed Western policymakers. Many U.S. defense experts have argued that Iran’s missile test was proof of continued Tehran-Pyongyang military cooperation, despite repeated attempts by the United States to isolate the DPRK regime. Even though there was considerable optimism that the July 2015 ratification of the Iran nuclear deal would halt Tehran’s long-standing military cooperation with North Korea, Iran’s ballistic missile program continues to rely on North Korean military technology…. Israeli defense analyst Tal Inbar recently noted that Iran purchased North Korea’s technical know-how on ballistic missile production, upgraded the DPRK missiles’ forward section, and distributed these advancements back to North Korea. The similarities between North Korean missiles launched during recent tests and Iranian technology suggests that Iran is a possible contributor to North Korea’s nuclear buildup, rather than a mere transactional partner…. In early August, Kim Yong-nam, North Korea's number two political leader and head of its legislature, departed Pyongyang amid great fanfare for an extended visit to Iran. The official reason was to attend the inauguration of President Hassan Rouhani, but the length of the visit raised alarm bells in Washington and allied capitals. North Korean state media said the trip lasted four days, but Iranian state media said it was ten, and that Kim was accompanied by a large delegation of other top officials…. After meeting with Speaker of Parliament Ali Larijani on August 4, Kim declared "Iran and North Korea share a mutual enemy [the United States]. 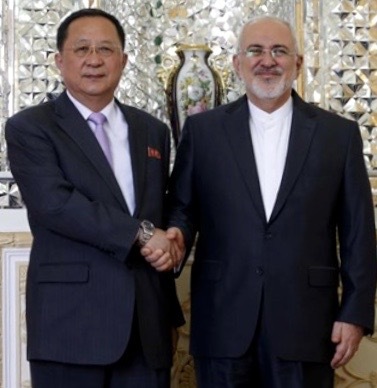 We firmly support Iran on its stance that missile development does not need to be authorized by any nation.”… Moreover, Kim Yong-nam's August trip appeared to have official support from Russia and China. On his way to Iran he first flew to Vladivostok…. Last year U.S. authorities reported that missile technicians from one of Iran's most important defense companies, the Shahid Hemmat Industrial Group, had traveled to North Korea to help develop an eighty-ton rocket booster for ballistic missiles. One of the company's top officials, Sayyed Javad Musavi, has allegedly worked in tandem with the Korea Mining Development Trading Corp. (KOMID), which the United States and UN have sanctioned for being a central player in procuring equipment for Pyongyang's nuclear and ballistic missile programs. For example, Shahid Hemmat has illegally shipped valves, electronics and measuring equipment to KOMID for use in ground testing of space-launch vehicles and liquid-propellant ballistic missiles. 10-18-2015 On Wednesday, the Iranian Revolutionary Guard invited Iranian state TV to tour one of their underground “secret” missile bases. The tour came the day after Iran’s parliament passed a bill approving the country’s nuclear treaty with six world powers. North Korean leader Kim Jong-un (left) stands in front of a mobile missile launcher in an underground facility on July 14, 2017, in this screen grab from [North] Korean Central Television.